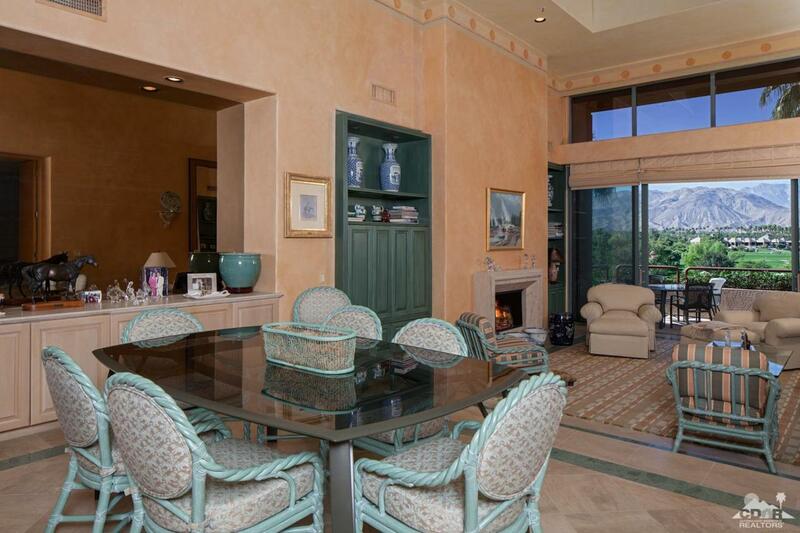 This penthouse level A' Prime floor plan Terrace of 2,325SF offers enchanting views. 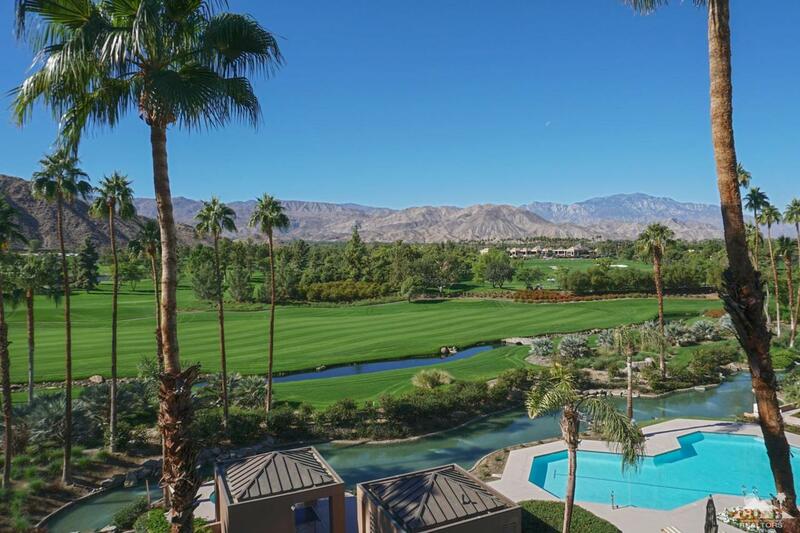 To take in the natural beauty of The Vintage, the expansive dual patios have superb views of the Club's iconic clubhouse, emerald green fairways, meandering water features and the rugged Santa Rosa Mountains beyond. With convenient elevator access from the building's subterranean garage to its lofty perch on the 3rd floor, provide privacy when desired. The Terraces' pool and cabana area adds value and convenience to Terrace homeowners only. Designed to take full advantage of the views, the large kitchen with sunny patio, center island and breakfast nook is open to the dining and living areas. The step-down living room with fireplace is designed for relaxation after a busy day on the links or just a quiet repose. Home is offered furnished, excluding most artwork.